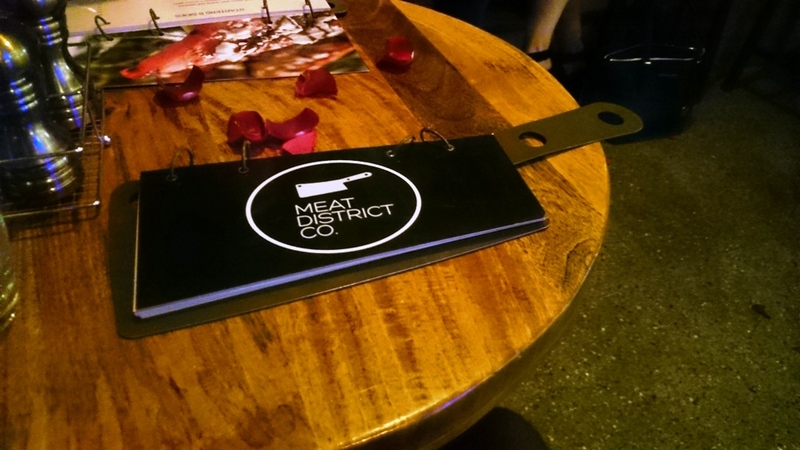 I’ve been wanting to hit up Meat District Co for what seems like an eternity now, the first two times I tried to go turned out to be unsuccessful and only left me wanting to go even more. I finally got my chance one evening and siezed it. I walked in and didn’t even look at the menu, I’d known what I was going to order for months. 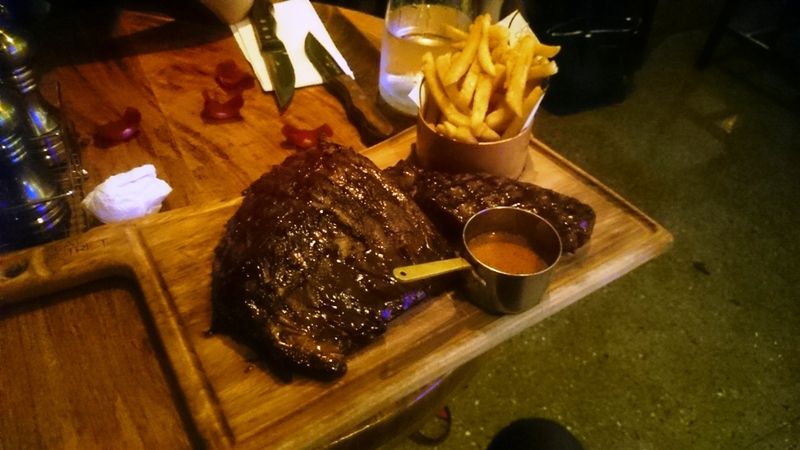 The Rib and steak combo, Half a rack of their ribs, a 200g sirloin and fries. I had the steak cooked rare, the ribs with extra basting, red wine sauce on the side and, rare, extra basting on ribs, red wine sauce in the side and upgraded the normal fries to truffle fries. Being late the food came out swiftly, looking appetising as anything with a sweet caramalised char aroma coming off it. The Sirloin cooked a perfect rare, was let down by low quality meat, tender but not soft and marbled with gristle, it was seasoned well and slightly basted in the rib sauce too but it lacked a meaty depth. The ribs on the other had were great, basted astoundingly, grilled to perfection and mouth wateringly flavourful. It seems to be a trend to get great ribs but the steak leaving something to be desired with these rib and steak combos. I’ll definitely be going back to get the ribs again, and maybe give one of the higher grade steaks a go. 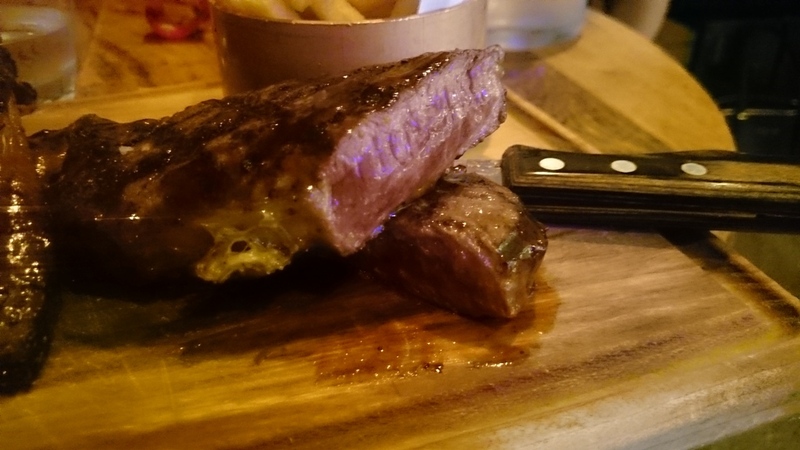 Posted on June 18, 2015 June 18, 2015 by AdrielPosted in Ribs, Steak, SydneyTagged Great, Pork ribs, Ribs, Sirloin, Steaks, Sydney.